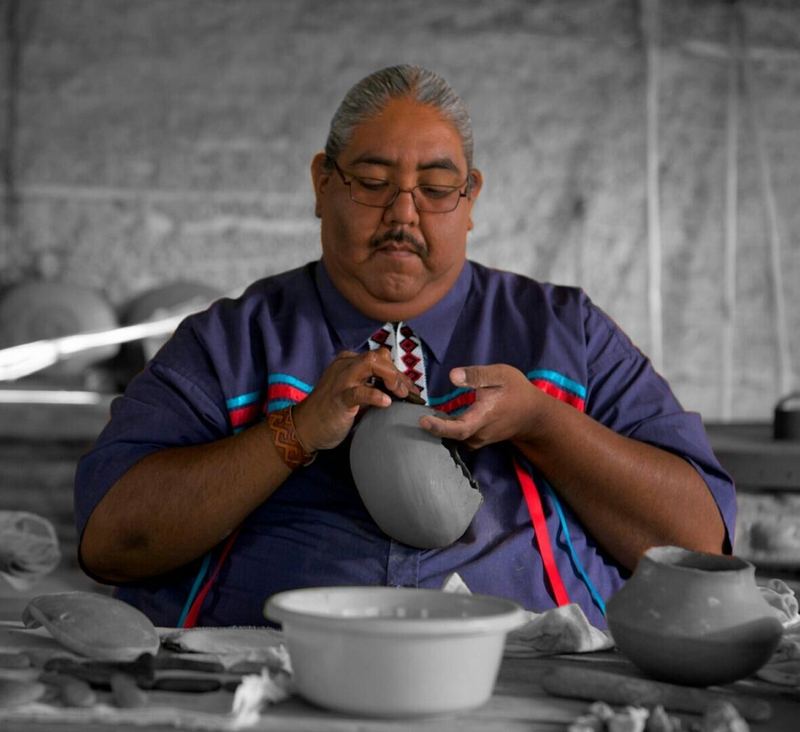 Get ready for the March 5-6 Heard Museum Guild Indian Fair & Market with Ron Carlos (Piipaash) demonstrating pottery firing on February 11 from noon until 2:30. While you are waiting for the pots to be retrieved from the fire, witness the premier of The Piipaash Pottery Way at 1:30 p.m. with a reception in the Monte Vista Room. View the trailer here. The film was produced by Steven Yazzie (Navajo) with Ron Carlos demonstrating pottery making. Ron Carlos creates pottery from all natural materials using the paddle and anvil method. All clays and pigments are hand dug and processed by Carlos and other family members. He also creates gourd rattles and beadwork, and is a traditional singer. Both artists will be present. Admission to both activities is free. To see the complete “Prepare for the Fair” lecture schedule, click here.